Summary: Cross-themed jewelry pieces are perfect for accessorizing and displaying one’s faith. 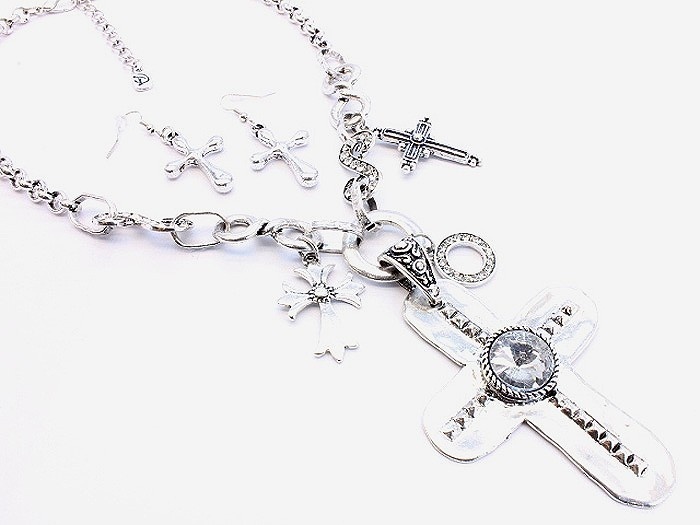 Some of the most popular religious jewelry pieces revolve around the cross. A powerful symbol, it has dominated Hollywood’s accessory division due to its versatility and timeless style. Cross necklaces are the most popular religious pieces at this time. It not only can display your faith, but it can also be an accessory to nearly any outfit that you own. Cross necklaces tend to come in sterling silver and gold and each design can be altered to fit any shape or form. Furthermore, it can blend in extremely easily into your wardrobe no matter the outfit. The cross necklace isn’t just limited to Catholicism, but it can also be a fashionable trend as well. Another subtle way to accessorize through religious jewelry is to wear some cross rings that have been taking the fashion world over by storm. It’s ideal because you can wear them without over-expressing your overall style. The cross ring has played a sacred and unique role in many celebrities’ outfits today. In terms of religion, cross rings can be utilized as a symbol of commitment to chastity before marriage, or even somewhat of a purity ring. There are even couples that go as far as to engrave crosses into their wedding rings as a symbol of their love and faith. With so many different types of religious jewelry available to the public, you can pick and choose anything that suits your style and wear it as openly as you please. It’s wonderful to have jewelry that can serve as both fashionable and faithful at the same time. Blog submitted by Christian.Jewelry: Christian.Jewelry has hundreds of Christian crosses, rings, and other religious jewelry pieces that match any occasion.